I was at Wal-Mart recently and was immediately struck by a big ol’ display filled with pink and pink ribbon embossed merchandise. I turned to my husband and said, “It’s almost October.” Since it is now October and we’re in the thick of Breast Cancer Awareness Month, it is time once again that I ask you all to “Think Before You Pink”. This will be my fourth year trying to bring awareness to the work of Breast Cancer Action and their “Think Before You Pink” campaign. In 2008 I did a brief summary of the campaign and shared critical questions you should ask yourself before buying a big cart full of pink merchandise. In 2009 I shared their campaign to tell Eli Lilly to “Stop Milking Cancer”. And last year I shared why I support Breast Cancer Action. So this year I find myself wondering what to say…. On September 14, 2011 Marie Clair published a thorough and eye opening article by Lea Goldman that I would encourage you to read before you buy one piece of pink merchandise online or make one charitable donation over the phone. I encourage you to give it a read. 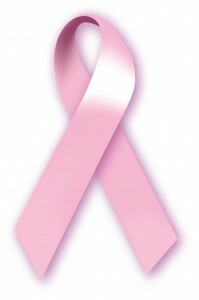 Some $6 billion a year is committed to breast cancer research and awareness campaigns. Is it any wonder that the disease has become a gold mine for pink profiteers and old-fashioned hucksters? And as always, I also encourage you to visit the “Think Before You Pink” website and the website for Breast Cancer Action. What to do next year. Should I just start all over again and recycle the 2008 article? Check back in a year to find out!